The exorbitant hike in private school fees in Islamabad was caught red-handed by the auditor general of Pakistan. This highlighted the failure of Private Educational Institutions Regulatory Authority (PEIRA) as a potent regulatory body. Although PEIRA was established to mandate fee scales, which includes all fee and payments due from parents, private schools have displayed an attitude of absolute non-compliance to any such rules. 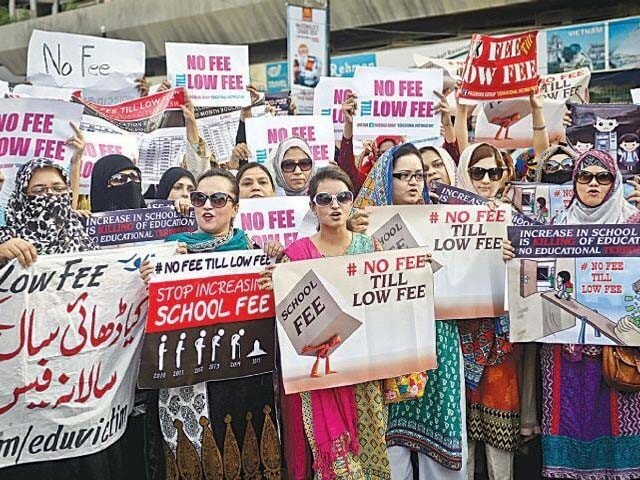 Apart from failure to enforce adherence to fee structure rules, PEIRA also failed to regulate the teachings of Islamabad Capital Territory’s (ICT) mandated curricula in private schools. The incident in ICT cannot be brushed off as something that the rest of the country can ignore as not being their problem. Springing up like mushrooms in every old and new locality, private schools have become a lucrative way of earning easy money. 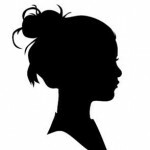 With a strong initial investment, they lure in parents who are tired of untrained teachers, poor management, high fees and bad organisational and learning skills being taught to their children. Although, promises are made at the start, barely any are kept as time progresses. As time elapses, parents realise that the motto of the school was nothing but a farce. And to make things worse, there is no PEIRA-like authority in these areas to regulate its functioning. In fact, even if there was, it would only be authoritative in name. The gravest cause of concern, even if the outrageous fee hike is ignored, is the lack of authority in the country over what is being taught to our children. There should be a state standard for teaching all core subjects, especially English, Math and Science. There also need to be standards that create guidelines for curricula reviewing and enforcing the selection and teaching of historically and morally sound facts to children. Unfortunately, private schools have a free hand in not only charging parents as they wish under the guise of all sorts of fees, but also in teaching them as they please. Books are selected more on the basis of how ‘good’ they look rather than for the text contained in them. Trying to get an idea of what exactly was happening, I spoke to a couple of families in Clifton, Karachi, whose children were enrolled in elementary grade levels in private schools. One mother told me that her child’s school had raised the already high fee even higher this year and was charging more specifically for the curriculum and ‘administrative’ fees. It honestly made no sense to me. Apparently, it turned out that the curriculum for the school was ‘imported’ entirely from Singapore and was not available in the market. Hence, all the parents at the school were paying ridiculously high prices for it. As for the ‘administrative’ fees, she herself was not quite aware of what this was for, nor did she bother inquiring. When I asked why not, she said it was a huge deal that their children were even admitted into such a respected school and this was how all ‘good’ schools were functioning nowadays. The other mothers present in the room agreed. Their children were also enrolled in private schools and were seeing the annual hikes in cost without any clear reason behind it. All reasons provided were extremely vague such as ‘administrative’ fee and ‘activity allowance’. This conversation taught me a lot of things. The disparity in the standards of education between schools of similar grade levels is giving private schools a free hand to blackmail parents. The camaraderie between private schools and colleges has created a strong fraternity of ‘educational bandits’ who are using the utter lack of systematic regulation to run lucrative businesses in the name of education. Who is to tell the poor parents that books don’t teach children, teachers do. If a teacher is excellent, schools do not matter. In short, the fact that a regulatory authority such as PEIRA in the ICT has failed to come up to the mark translates into a lot of gloom for the rest of the country. For instance, in Karachi, there are thousands of private schools, many of which are not even legally registered. As I discovered through my conversations, there is not only no check on the rampant fee hikes in these schools, there is also no regulation of the curriculum either. Although there has always been an on and off demand for the establishment of a private agency to do this, or pressure on the government to start overseeing these issues itself, either of these two things has yet to be done. At the end of the day, it is millions of children who suffer at the hand of these inconsistencies and failures. Private schools need to function according to core regulations throughout the country and the syllabus taught in these schools needs to be aligned with that of the public schools. This would help raise the standards of the public school system in the country and get the ‘elitist’ germs out of the head of the private schools that perpetuate this massive division between social classes. Regardless of what is done, it is evident that any regulation system of private schools has to be built from scratch and it has to be directed and supervised with a strict hand. PEIRA is reflective of how inefficient private monitoring authorities can be. I personally feel it should not fall under the government, it should be a privatised department. This could possibly be the only way private schools will ever serve the purpose they are designed to serve, rather than turn into the money guzzling mills that they have undoubtedly turned into. Sorry to say But I blame the parents as well for this phenomenon. It is more fashionable to put children into schools of the so called higher classes. In order to have the so called “Oonchi Naak” you have to sacrifice and pay the higher fees. In order to live a superficial and artificial life you have to live like that. Its a question of ‘ demand and supply ‘……..in the field of education the demand SHOULD be met by the government. When the government fails and fails miserably then a vacuum is created and the private sector willingly steps in to fill it.